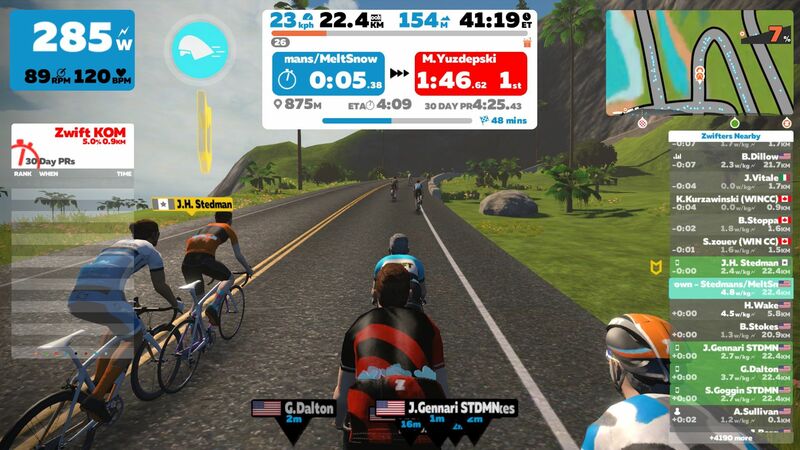 Come join us in the virtual world of Zwift at 6:15 for a 90 minute group ride targeting an endurance pace (2.0-2.5 w/kg) for a majority of the ride. The ride tonight is on the Greater London Loop and features the climb up the Box Hill KOM Climb where we will open things up and race the climb then regroup at the bottom of the descent. The first and last 10 minutes of the ride will stay in around 1.5w/kg effort to warm up and cool down. You are welcome to join us from home. We are not able to host people in the shop for this ride this week. Come join us in the virtual world of Zwift at 6:15 for a 90 minute group ride targeting an endurance pace (2.0-2.5 w/kg). The loop features the climb up Watopia’s volcano where we will open things up to a more competitive pace and regroup at the top. The first and last 10 minutes of the ride will stay in a 1.5-2.0 w/kg effort to warm up and cool down. You are welcome to join us from home or bring your trainer and Zwift device to join us in the shop. 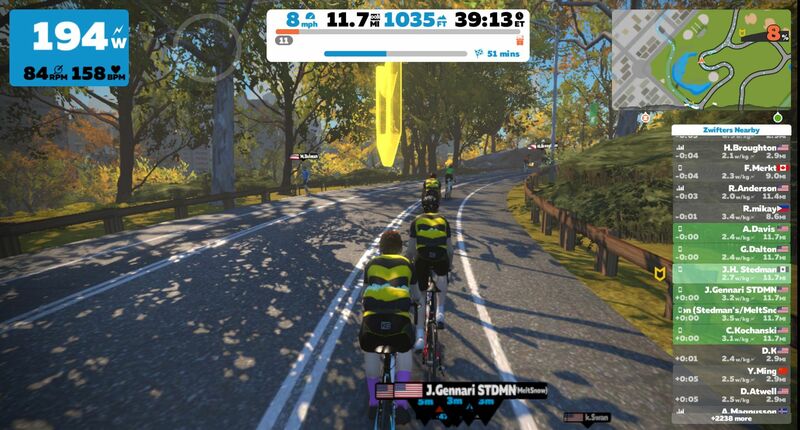 Come join us in the virtual world of Zwift at 6:15 for a 90 minute group ride targeting an endurance pace with some higher pace climbs and sprints. We plan on regrouping over the top of climbs and following any segments as necessary, possibly doing a complete hard stop. In order to join the Meet Up you need to be following “Jimmi H. Stedman” on Zwift. Tonight’s ride is featuring the “Reverse Figure 8” route in Watopia. Our Tacx Neo demo trainer is available to reserve in the shop using either your own Zwift account or the shop’s account. To reserve a demo trainer, or if you have any other questions, please call us at 401-789-8664 or email info@westedman.com.